$21.99 & FREE Shipping on orders over $59 $35. 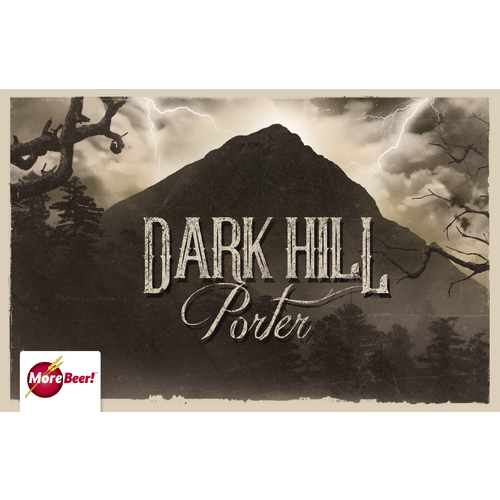 One of our favorite west coast porters is now available in "hombrew" form! Our Black Butte Porter clone, commercially brewed by Deschutes Brewery in Oregon, is one of the most well rounded porters out there. Being bittered with Bravo hops helps to initially balance the malty backbone, but that bitterness fades quickly, providing a smooth transition into the complex flavors of four different character malts. This combination of Wheat, Carapils, Crystal 120L, and Chocolate malts create a rounded mouthfeel and chocolate flavor. 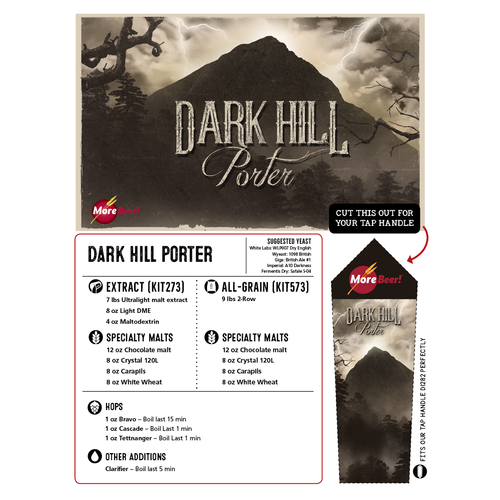 If you like dark beers, you're going to love our Dark Hill Porter. 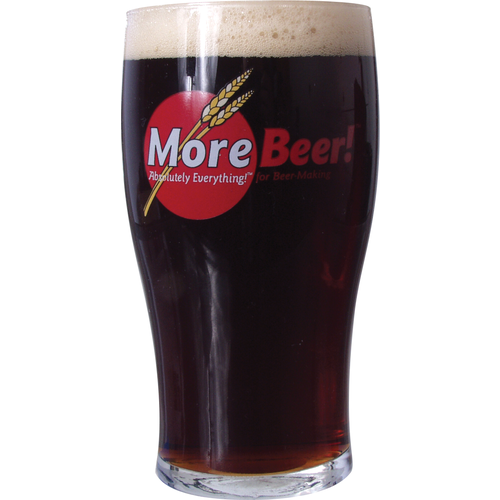 If you don't like dark beers, this just might be the one to change your mind! Need a porter for the Oktoberfest requlars. how long is the boil??? all it says it "boil last 15 mins"
BEST ANSWER: Don’t recall seeing that. I boiled for an hour, standard requirement. Maybe flavor hops boil was for the last 15 mins. I did a standard 60’ boil. This is by far one of my favorite Porters, and is a regular in my three tap rotation. Right. The Bravo hops are boiled for the last 15 minutes of a 60 minute boil. The old recipe print out was 60min. What is the estimated Final Gravity? BEST ANSWER: I used BeerSmith software prior to brewing.The kit directions estimated OG of 1.049-54, but BeerSmith estimated it at 1.055 and I actually measured it at 1.059. The Final Gravity was estimated at 1.013 and I measured it at 1.015. This gives an estimated ABV of 5.8%. I used Wyeast 1098 British Ale yeast. BTW, this is one of my favorite beer recipes and I have a batch fermenting right now, although I didn't buy the kit but just assembled the ingredients on my own, using Maris Otter for most of the malt and Munich Malt for about 15%. Brewer's friend puts it at 1.012 and the batch I brewed with us-05 finished right at 1.012. I mashed at 145 for 30 minutes and at 155 for anouther 30 minutes. Note that your mash temp will determine your final gravity, higher Temps = higher final gravity. If your doing a single infusion I'd aim for 154. Taste good going from primary to secondary fermenter. Haven't kegged it yet but so far it tastes very good. Looking forward to it cold and carbonated. Good brew. A little more roasty than I had anticipated. I'll drink through it pretty quickly though. I really love this and the price was exceptional. It's smoky and sweet, and tastes great! This is a very balanced porter. I followed the recipe to the letter 1.051 OG fermented down to 1.012 for an ABV of 5.1% using Safale US-04 yeast. Fermentation at 64?F for 2 weeks then cold crash at 35?F for 3 days. Force carbed 25psi for 48 hours and was ready to drink. Nice smooth balanced porter, lacks a little body but for the price you can't go wrong. I may add some oatmeal next time. Cheers!